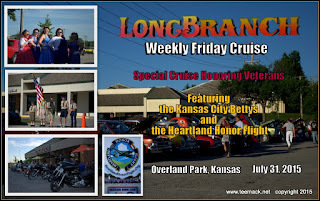 The Longbranch Saloon in Overland Park, Kansas held it's weekly Friday night Cruise on July 31, 2015. 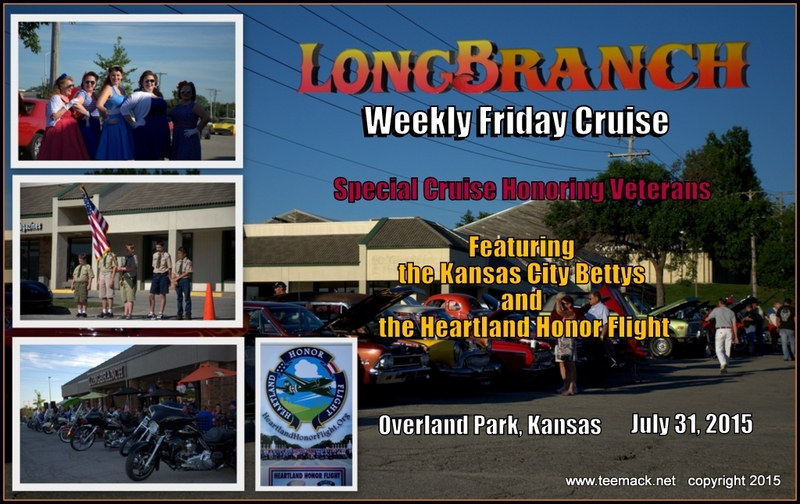 This Friday Cruise was to honor our Veterans. Boy Scout Troop 225 from Olathe, Kansas was the special Honor Guard. The Kansas City Betty's were also on hand to honor our Veterans. Also on hand was the Heartland Honor Fight Group. Approximately 120 vehicles attended the cruise. The weather was a little hot with temperature in the 90's, but everyone seem to enjoy themselves. Click here to view photos of the cruise.